Hi Tien, it was great finding your widget for Blogger! 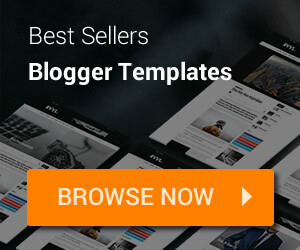 I'm trying to create a "Notice board" in Blogger's sidebar with posts from a certain Tag, and if possible, if a certain expiry date hasn't passed. Would your widget be possible to use and automatically adding posts with "Noticeboard" if the expiry date hasn't passed to the widget/sidebar? Hello. The widget and add post to the board auto, but has no EXPIRED DATE feature. Sorry. How can I change font size of display posts through this widget? Please provide your URL so I can check. Thank you. Hello there. Thank you for this widget, it made my life easier. By the way, under the post titles, if you disable Author or Comments count or both, the Date will not show. You'll have to set True to ALL of them to see the Date. The auto height is not available for list style, you must consider column style. Hi! Thank you so much for the amazing widget. Just a quick question, is it possible to have the height to be auto? Right now, my widget is 250px in both width and height, and I can't seem to change it. It works fine if the thumbnail is square sized but a few of them are less than 200px, so in the end I have a white space under each thumbnail. how to make maximum character number for title length? Sau khi add widget, bạn vào Layout kéo thả widget vào bất kỳ cột nào bạn thích. Bạn muốn add bao nhiêu widget thì add. Sau khi add thì sắp xếp lại. Awesome widget! Worked great for quite a while on my blog (brittenyoffthehook.com) but I just had a major spike in traffic today, and it appears that the widgets are slowing my page down. Good day, please is there any way to make the first latest post on a particular label to have a large Thumbnail with summaries,followed by other posts with small Thumbnail and summaries thanks. Just insert it before </header> tag similar Awesome Font tutorial. The script will auto detect if you inserted the font awesome or not to insert its script. Hello Tien Nguyen, please can you tell me how I can update the old font awesome code 4.0.3 with the new one 4.5.0? 2. make thumbnail image as a link so user can click through link from image too. Thank you very much Mr Tien, your widgets is very awesome and its work beautiful to my site. TQ again. At default, it shows newest posts. Hello! Is there a simple way to adjust this to show the newest post first? Bạn đang hỏi về widget này hay là một template nào khác? Yes, you can do it, but need a little bit modification of code. IT WOULD BE NICE IF THE CREATOR OF THE WIDGET CAN CONTROL IT IN ORDER URL'S OF OTHER BLOGS TO MAKE THE WIDGET BE ABLE TO BE IN A THIRD SITE. FOR EXAMPLE, WITH THE URL OF A BLOG TO MAKE A WIDGET AND THEN TAKE THE CODE AND PLACE IT IN MY SITE THAT HAS A DIFFERENT URL. AT THE MOMENT I TRYED TO DO SO AND THERE IS THIS MESSAGE SHOWN :You got Post Feed widget for http://specialguestgr.blogspot.gr but you are using it for www.proagelos.gr. PLEASE REMOVE IT AND THEN GET IT AGAIN ... OK I GET IT AGAIN BUT I CAN PLACE IT IN A DIFFERENT SITE. PLEASE MAKE THIS WIDGET BE FULLY USEFULL !!! 1 label 1 widget, multi labels, mutli widget. Hi.. Thanks a lot.. Nice widget.. But, Is it possible to put multiple labels (only selected labels not all).? That's very wonderful ! Now I want it to display two columns, how i can do. It may be like this, please look at: http://4.bp.blogspot.com/-F2qddgw8Pc8/VcoLsECcYeI/AAAAAAAANHg/WPN4Vcwustg/s1600/Untitled.png. how to remove bloggerwidget link and icon just below this widget? Hi. Access your blog Layout, click edit on the widget that you want to delete and choose Delete. yeah! thanks mr.Tien Nguyen. Good job. You can try changing THUMBNAIL SIZE. hi Tien, thank you very much about your widget, it really help me a lot. Hire someone or hire me. Not worked for me on www.mastfun4u.com what to do? Hi, i need hyberlink for on thumbnail also. pls help me. You floated left my widget and added an HTML widget that named "adsense" underneath without clear div above so the adsense widget go over my widget. This is because your custom layout, not cause from my widget itself. Dear. I see you are using a tool (I think of MS) which is inserting unwanted code to your post (you can check the post content to see). I recommend stop using the tool to create content to prevent unwanted code in post which will affect to SEO and be checked as spam. Ive used this on several other sites but for some reason I can't get it to work this time around.